In case you haven’t seen it yet, take a look at this! It even has a surprise ending. . . .
Geysers can be categorized as one of two types: cone and fountain. Let’s see what page 61 of Yellowstone Treasures has to say about fountain-type geysers. Such geysers have a very broad pool rather than a cone or narrow vent, and they usually erupt in a series of bursts, sometimes beginning with a blue dome-shaped surge. Great Fountain is perhaps Yellowstone Park’s largest fountain-type geyser. Eruptions usually range between 100 and 150 feet (30-45 meters) in height, and its vent is 16 feet (4.8 meters) across! In case you missed it, here’s Janet’s report on this blog about an early evening eruption of Great Fountain Geyser in 2014. She includes a video. Another classic fountain-type geyser is Fountain Geyser, which may erupt as high as 100 feet (30 meters). Last year photographer and videographer Neal Herbert took a great short video of its eruption. Watch closely and you’ll see flashes of bright blue as steam bubbles explode and propel water from the crater (especially at the 50-second mark). Great Fountain Geyser and Fountain Geyser are both in Lower Geyser Basin, but only the former is predicted, with an average interval of 10 hours 45 minutes (+/- 2 hours). Comments Off on Let’s watch geyser videos! Following up on the theme of organizations that support Yellowstone National Park, started by Janet in her October 22, 2015, post. . . . This year, Granite Peak Publications joined the Gateway Businesses for the Park, a program of the Yellowstone Park Foundation. What does this really mean? Here’s a tip that will help you find nearby trails, natural wonders, and picnic areas on your next visit to the park—the Yellowstone Outdoors app. Go to this article for screenshots and features, or just download it for free on your app store. 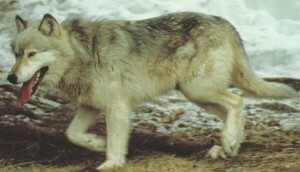 This is yet another program of the Yellowstone Park Foundation. You can learn more about the gateway towns, such as West Yellowstone and Cody, from the chambers of commerce websites we list on our Yellowstone Links page. As promised, here are some of the updates we included in Yellowstone Treasures, Updated Fourth Edition, in the second printing this summer. You should get a sense for the level of detail in the book, as well as learning a bit of news. 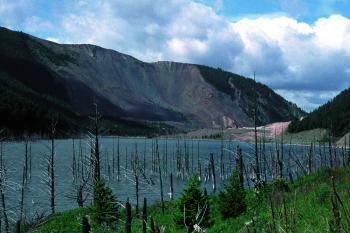 Quake Lake was created by a huge landslide (Yellowstone Treasures, page 36). If you’re entering or leaving the park via the West Entrance, it’s worthwhile to make time to visit Earthquake Lake, northwest of West Yellowstone on U.S. 287. The picture here, taken by Bruno Giletti, is the same one you will find in the book. We rewrote the description to tell you the Gallatin Forest visitor center was remodeled in 2014. It displays interesting exhibits about the 1959 earthquake and landslide that killed 28 people, and how a potential Madison River flood was avoided. Oblong Geyser’s eruption interval went from three to seven hours to four to six (see page 92 of the guidebook). Giantess Geyser had no eruptions between October 2011 and January 30, 2014. Their rarity means you will be lucky to see one when you visit. By the way, you might enjoy this five-minute edited video of the October 13, 2004 eruption. 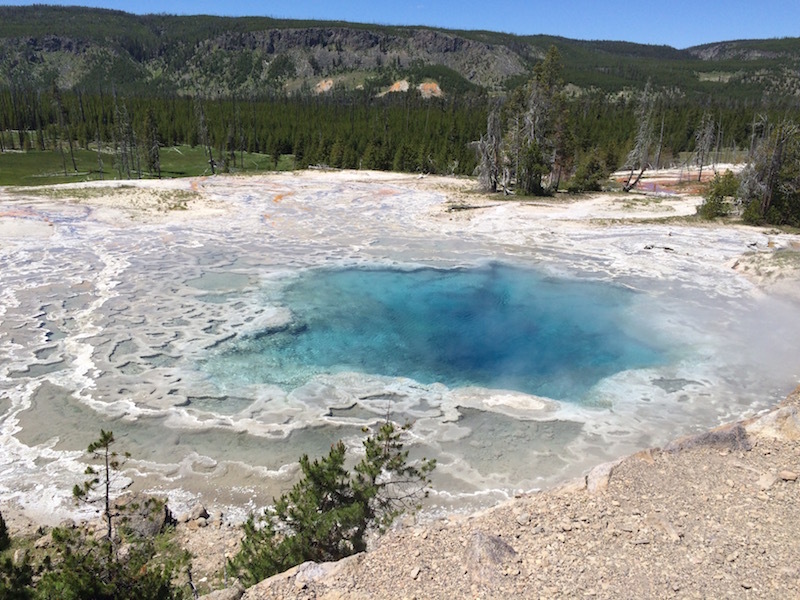 Daisy Geyser’s eruption interval went from about two-and-a-half hours in 2012 to about two to three hours in late 2014 (p. 101). Changes in what you can see when you visit led Janet to revise some wording. At West Thumb Geyser Basin, when you get to the lakeshore near Lakeside Spring you used to be able to see a remnant of concrete that supported a boat dock long ago. Now you can’t really see that, so we changed the sentence to be more informative and say “A boat dock for the Zillah, which ferried passengers to Lake Hotel from 1890 to 1907, was located here” (p. 141). Also, when you stand at Uncle Tom’s Overlook on the South Rim Drive you can no longer see little Crystal Falls of Cascade Creek as easily across the canyon, because branches obscure the view (p. 180). It’s interesting to see what a long-time observer of the park notices, isn’t it? Recently some tiny but active terrace-forming springs have made their appearance very close to the Upper Terrace Drive. Now park geologist Hank Heasler has determined that water up to 152 degrees Fahrenheit (67 ºC) is bubbling out near the road. News sources say the feature became visibly active in May and is creating new small terraces too close to the drive for visitor safety. As a result the Park Service has closed the road. When I visited early one morning in mid June, checking up on one of my favorite features, Canary Spring, I noticed that the area around Grassy Spring seemed very hot, with little terraces appearing since I was last there and a tiny new spring above the first major parking area, where I usually park to visit Canary. If you’re visiting Mammoth this summer or fall, you can still park just outside the entrance to the Upper Terrace Drive and walk down the Canary Spring boardwalk or beyond the new hot activity to see my other favorite feature, Narrow Gauge Terrace. Canary looked like this when I was there in 2009. You can locate the features mentioned here in Yellowstone Treasures (print version, map page 265 and text pages 271 to 274) or check it out in the e-book version of that guidebook. You can also find information about this part of Mammoth in our companion/derivative e-book, Visiting Geyserland, pages 11 to 15. What’s New, Fun, and Interesting in Yellowstone This Summer? Comments Off on What’s New, Fun, and Interesting in Yellowstone This Summer? Entering Yellowstone from the North Entrance may be a little tough going and not aesthetically pleasing for most of this year , since there’s a humongous construction project going on to completely revamp the entrance area at the little town of Gardiner. But five miles and a thousand feet up the road to the south is Mammoth Hot Springs, and, in addition to seeing the springs along the Upper Terrace Road, I recommend spending an hour or so at the redone Albright Visitor Center. It has excellent hands-on dioramas of all of the park’s bigger mammals and kiosks for park orientation on the first floor. In the basement level, completely accessible with a new elevator, are great historical displays and the restrooms. 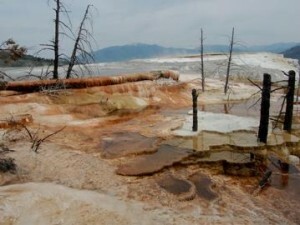 For more about this see the Yellowstone Insider’s recent article. One of Upper Geyser Basin’s most popular sites is the wonderfully regular Riverside Geyser. It almost always erupts every six to six-and-one-half hours. Here is the eruption I caught on my all-too-short visit to the park in mid June. 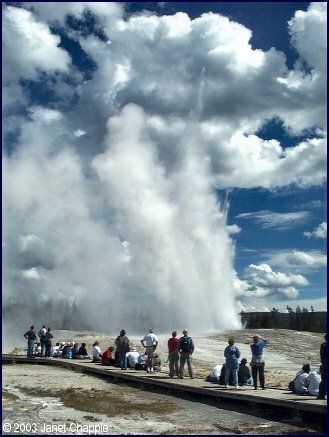 You can hear (1) a geyser gazer transmit by FRS radio the time of eruption to the Old Faithful Visitor Center, (2) the excited crowd,(3) the swishing of the main eruption, and (4) the rumbling of the side spouter that always accompanies Riverside’s eruptions. It always erupts quite a bit longer than this little video, which was edited for Granite Peak Publications by Jens Paape. You can reach Artemisia Geyser’s beautiful pool and formation in one of two ways. One is by walking beyond Riverside Geyser about half a mile up what used to be the main road and is now a rather rough trail past Morning Glory Pool (page 95 in Yellowstone Treasures) or by parking at Biscuit Basin and crossing the road to reach the other end of the trail from Morning Glory Pool. Up the hill in the distance in my picture is Hillside Springs, which old-time stagecoach drivers called Tomato Soup Springs. I did not see any grizzly bears on this trip, but there are now enough of them in the Greater Yellowstone Ecosystem so that visitors are seeing them quite frequently. The national media covered the recent very unusual event where a grizzly climbed on the hood and sides of an occupied car, leaving some scratches but giving the occupants of the car the thrill of their lifetime and their own video. One thrill of this visit for me was being assigned for three nights to what has to be the best room in the Old House of Old Faithful Inn (Room 229). It was inside the farthest east of the five dormer windows that span the third floor front of the inn. 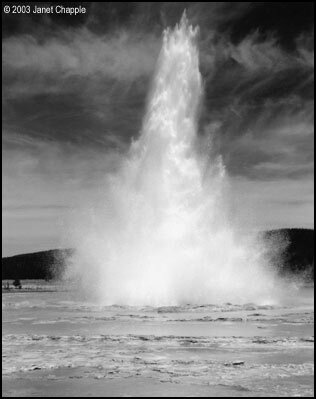 Two mornings I awoke to a swishing sound, opened the side window, and there was Old Faithful Geyser erupting for my private enjoyment! 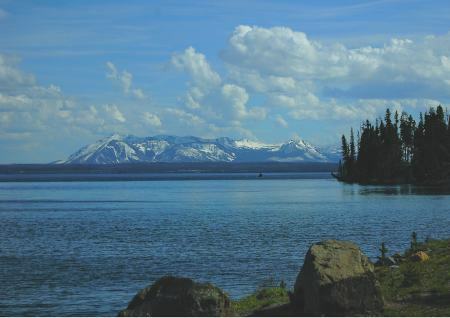 For fishermen and others interested in what is happening with the fish in Yellowstone Lake these days, take a look at the Great Falls Tribune’s story about the good news regarding the struggle against illegally introduced lake trout. A great many people in the Wheeler Hall crowd on March 26, 2015, had the same feeling: We are in the presence of the world’s foremost living biologist, a man who has made a big difference in many fields of endeavor. We were not disappointed in his address. Born in 1929 and raised in Alabama, Edward Osborne Wilson became the world’s leading expert on ants, but he has studied and written on numerous subjects relating to the natural world. The prizes awarded him are amazingly numerous and include the 2012 International Cosmos Prize and two Pulitzer Nonfiction prizes, for On Human Nature (1979) and The Ants (1991, with Bert Hölldobler). Berkeley Professor Steve Beissinger, who introduced Wilson, said his own favorite book by the speaker is his autobiography, The Naturalist (2006). Wilson calls his religious position “provisional deism” and feels that religious leaders and scientists should build an alliance. But his human sociobiology ideas (the study of the biological basis of all forms of social behavior in both animals and man) have met with opposition. 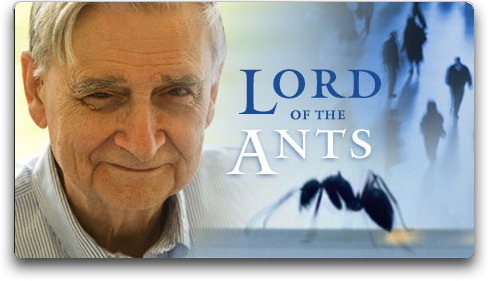 Of course, it will be impossible to sum up what E. O. Wilson said in a few paragraphs, but I will pass on some high points for readers who do not plan to listen to the entire talk (starting at 2:30 in the video). Beginning with what scientists have learned in the field of biodiversity in the past twenty years, Wilson defined it as the “collectivity of all inherited variation in any given place.” It can be divided into three levels: ecosystems, such as ponds or forest patches; the species in an ecosystem; and the genes in each species. Only about one-fifth of all the probable species in the world have been discovered and named as yet. This census needs to be sped up; among the national parks Great Smoky National Park has so far the most complete U.S. census, and about 18,000 species are known to live there. “We live on a little-known planet,” he says. Moving on to the subjects of species extinction and efforts to preserve species, Wilson told us that the global extinction rate is some one thousand times greater now than before the coming of humans to the planet. “Prospects for the rest of this century are grim,” and “loss of natural habitat is the primary cause of biodiversity extinction.” Can we believe, he asks, that future humans can manage life in a system devoid of all or most of the species that took three-and-one-half billion years to put together? 3. Reduction of the ecological footprint, the space each person needs, becoming less as the global economy evolves, creating products using less material and less energy. Dr. Wilson ended his remarks by stating that “national parks and reserves are going to be logical centers for fundamental research.” This is already true for the geosciences; soon, he predicts, it will be comparable for original studies of the living environment.